Next Post What Can You Tell Me About Tumblr? Your review tells me very little about the book, but still makes me want to read it. It's more difficult for me to write a review of a book which especially moves me than for one toward which I have little feeling. 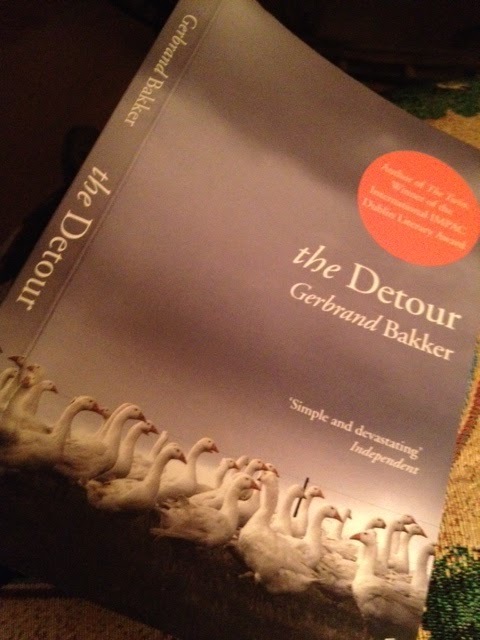 I was afraid of giving too much away, for then I would spoil the sense of discovery Bakker prepares for the reader. Yet I am very glad I've enticed you to read it for yourself. Happy Sunday Meredith, I found Gerbrand Bakker's novel under the title ” TEN WHITE GEESE ” at amazon, I guess the title was changed. I certainly want to read this book, it seems to be along my taste. I am straightening my blog, adding all the books I read in 2013, it will take a few days. I will not review these books, still I will add a synopsis and what I liked/disliked about them. I will begin to review with the book I am presently reading. I was thinking why this book sounds similar to another one I have on my shelf before I read the above comment. It is being released as Ten White Geese (Geez – I don't know how different titles can ever be good for a book's publicity). I am excited that you liked this one – I will be reading it shortly. Oh I'm intrigued and I love the Emily Dickinson link. Adding to tbr. This book sounds really good; Wales, mystery, a cottage…all the things I love! I loved this quirky little book. Oh, my friend, I'm not surprised you did. Quirky, to be sure, but so moving. How can a make author portray a woman so spot on? Beautiful summation – this has been on my wishlist since I read Tony's review.